I love the way Tom is taking the feedback after the last election and making changes based on it! Another election is over and I was somewhat surprised to learn via the Stoneham Community Facebook Group that some people didn’t know that there had been an election. In further discussion, I discovered that even more people had no idea who the candidates were, nor did they know who the elected officials were. 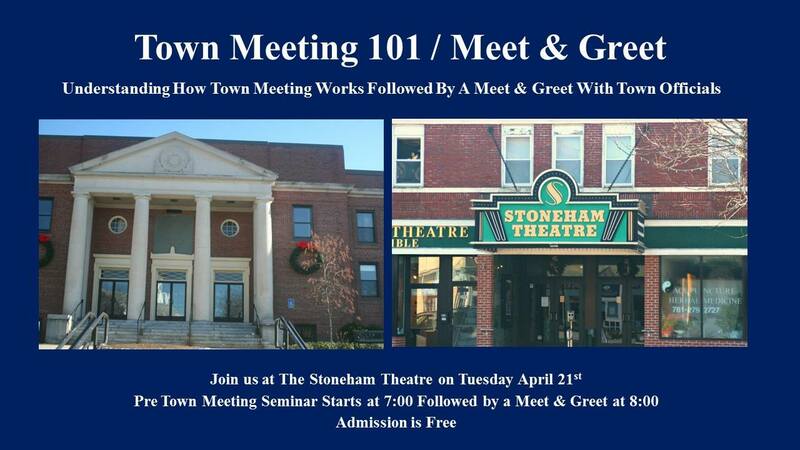 There was a lot of talk about improving communication from the town and many people seemed to think that if there was a good, informal way to meet the elected officials in a relaxed setting possibly outside of town hall, that they would be amendable to attending.